What we can do about poverty, real estate, and the declining population in Erie County. 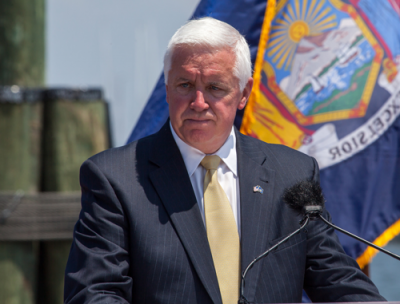 While watching a recent debate between the two gubernatorial candidates, it became readily apparent how out of touch the current administration is to the tax and fiscal plight of Pennsylvania's cities and developed urban areas. Gov. Tom Corbett seems to believe the answer to every one of the Commonwealth's problems is to cut government employees' pensions and benefits. I don't deny that employee costs are always something that must be monitored and negotiated with an eye toward fairness to the employee and taxpayer alike. However, the governor seems to forget, that unlike the state pension system, cities like Erie have been forced for decades to address unfunded pension plans. So, although it's a significant cost and does drive taxes, it certainly is not the only reason our cities have struggled for almost 50 years. Democratic challenger Tom Wolf, on the other hand, appears to recognize the "structural" problems that exist in how we tax and spend at the local level. This structural problem has created huge disparities in the distribution of the tax burden as well as in the distribution of wealth at the local level. These disparities directly undermine the ability of regions like Erie County to compete to attract and retain both businesses and residents alike. The result is a combination of a high concentration of poor people and unreasonably high taxes. Each one perversely contributes to the other and creates a drag on the economic prospects of the entire region. The poverty rate statistics for Erie County's two cities are sobering to say the least. The City of Erie's rate is a whopping 30 percent (2013 est.) while Corry's is at 25.6 percent. But there is another side of the coin that is often not considered. Both of Erie County's cities have lost a substantial number of residents of wealth over the last thirty-five years and continue to lose them at an alarming rate. Take a look at the following statistics: There are approximately 41,000 households in the City of Erie. Of those, only about 2,940 have household incomes that exceed $100,000, which is about 7 percent of all households. Only 151 households have incomes that exceed $200,000, which is 0.3 percent of all households. The City of Erie doesn't even have the "1 percent" which was so prominent in the last national election. I don't have the data for Corry, but I suspect it is very similar to Erie's. By contrast, the poverty rate in Erie County, excluding the two cities is a mere 6 percent. There can be no doubt that the two cities have bled wealth for years, resulting in an extremely high concentration of poverty in the cities and more wealth in the suburbs. Folks, this is a fundamental impediment to economic development for the entire county. The difference is greater than the national average difference between center cities and the rest of their suburbs. There is significant evidence from national empirical studies that the higher the urban-­suburban income disparity, the slower the growth of the overall regional economy. I believe this fact has borne out in Erie County for a generation or more. The comparative rates for real estate taxes likewise portray a gloomy picture for the county's two cities. Despite having high concentrations of poor people, both cities far outpace the wealthier suburbs in real estate taxes. For instance, school and municipal taxes in the City of Erie are approximately $2,747 on a $100,000 home. In Corry, the tax bill is $2,078. By contrast, real estate taxes in Fairview and Millcreek are both around $1,700. The median value of homes also corroborates this disparity. In the City of Erie, the median value of a home is about $83,600 and in Corry it is even less, at $69,729. This is in stark contrast to Fairview and Millcreek where the median value of a home is about $191,212 and $148,000, respectively. The result is that we are so busy competing with our neighbors for tax dollars that we have an inequitable playing field that fails to recognize that we live, work and recreate in an urban "regional city" that is not defined by political boundaries but by the boundaries of real life. People may live in the suburbs or rural areas, yet they work and recreate in the urban centers. Or, receive their health care there. The vast majority of tax-exempt properties that provide needed services are concentrated in the urban centers, and all Erie County residents frequently utilize these services. So what should we be doing if we want to buck this trend and try to create equity and a level playing field throughout the county? The suggestions that I make are not new. I've written about them before. I've advocated them when I was mayor. Most of them are not even my ideas. The overriding principle of them is that we must govern and tax realistically as to how we live today, not in the 1950s. First, through the use of countywide land-use planning, we need to stop sprawl. Erie County has seen zero population growth since 1980, yet the amount of undeveloped land that has and is being developed has continued at an unrelenting pace. Presently, there are large urban areas with existing infrastructure, such as roads and utilities, that are now underutilized. A focused approach to re­using these areas for commercial, industrial, and residential development will assist the urban areas in re-growing their tax base. Second, there must be a form of countywide revenue sharing. A great vehicle to accomplish this could be to use the tax-exempt property situation. A formula based on a countywide assessment to redistribute tax dollars to municipalities with high levels of tax-exempt property would be one concept. Better yet, or in conjunction with that, why not use the hotel-room tax as a source of funds? And by the way, some of the suburbs would benefit as well. There are estimates that as much as 18 percent of Millcreek is tax exempt and with the growth of LECOM, that certainly is going to grow. Third, the county must continue to assume a greater role in the provision of services. Here the county has made some strides in the provision of public safety. However, this must continue and be expanded to such areas as parks and recreation, building and permitting, and zoning. Fourth, as Brian Bosworth identified in his 2011 study, "Toward an Economic Development Strategy for Erie County," there must be at least a discussion of the amalgamation of the public school system. Many municipalities, particularly the cities, have a geographically contiguous school district. Why is that? We need to consider ways that school districts can spread the cost of public education out more evenly throughout the county. Finally, through a countywide incentive program – and perhaps with some state help – there must be significant incentives put in place to promote the consolidation of the crazy quilt patchwork of municipalities and school districts in Erie County. This list is obviously not exhaustive. Many will say the items I identify are non­starters. Perhaps. However, a public dialogue must begin. The trends are not getting better; they are getting worse. Will some pay more? Sure. But we are paying a heavy price right now in terms of the lack of business investment and jobs, declining population, and the increasing poverty levels and the host of problems that come with that. My point is that many of the solutions to our problems can be addressed locally if only we have the sense to talk about them, and maybe, just maybe, the fortitude to implement them. Although I am hopeful for a change in attitude in Harrisburg to help us address these issues, I am not banking on it. Rick Filippi can be contacted at atty.filippi@gmail.com.